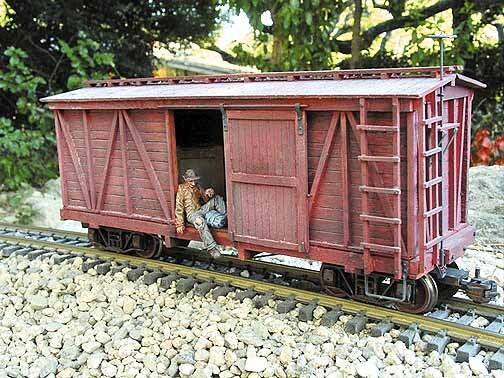 I constructed 10 flat cars using the the 1:20 outside-frame boxcar plan set #44. This was taking a little license with the plan to construct what I wanted. 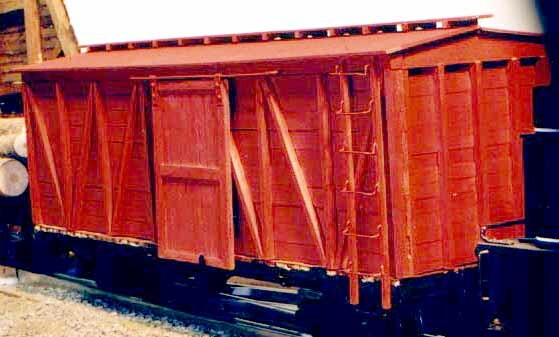 This became a production run, as cutting the wood, painting and staining the parts and assembly was done in the ten times quantity needed for one car. 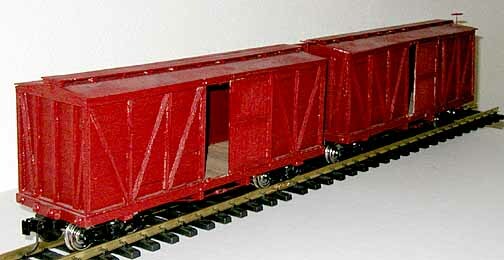 Painting the frame in box car red and individually staining the deck boards added realism. Detail parts were from Ozark Miniatures. Larry Larson also helped out with custom lettering and selected numbers to match the sequence range that I desired, so the cars had different numbers. This also spared me the tedium of applying the numbering one number at a time.